This may seem like a simple question, but there are more factors at play in this one than many people realize. While most computer experts agree that an office computer should last between three to five years before being replaced, there are many factors that determine the lifespan of your computer. From the initial quality of your machine to daily performance requirements and general maintenance to routine upgrades, here are just a few of the factors that influence the life-cycle of your office computer. As with most other equipment, the initial quality of your office computer will play a huge role in how long (and how well) it will continue to run effectively. Generally, the more inexpensive the machine, the lower the quality. Spending more money for a desktop computer upfront can save you significantly in the long term, with fewer replacements or longer time between replacement purchases. If mid- or high-tier equipment isn’t in your company’s budget right now, consider stowing away additional dollars in your budget until you can make a higher quality purchase. With a high-quality machine, you may be able to extend the lifespan of your PC far beyond the five-year mark. The greater the security and performance requirements you demand from your office computer, the faster it will become outdated. Additionally, damage caused by electricity or heat and the physical wear and tear on fans and hard drives will eventually cause your computer hardware to wear out in the long run, which occurs more quickly in more heavily used hardware. Regular service and repairs can help extend the usable life of your PC. Replacing worn out parts like fans or hard drives can help your machine run longer, but ultimately an older machine won’t be able to keep pace with newer systems. You may be able to use your 10-year-old office computer for simple tasks like spreadsheets or Word processing, it’ll probably a waste of time using it for anything else due to long booting and load times and frequent lock-ups – not to mention the potential risk of data loss due to running a machine that the operating system developer no longer supports. 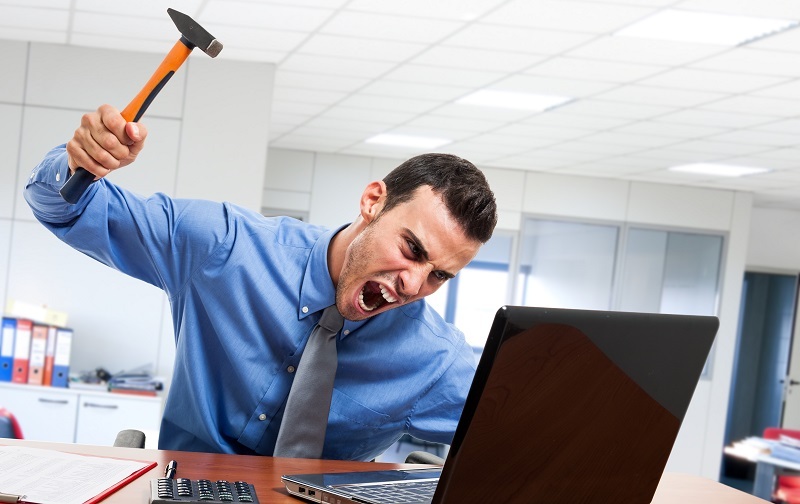 You may even find that IT support costs of outdated equipment soon outstrip the cost of upgrades due to these same issues! We always recommend that businesses use the most current operating system available. Developers offer support lifecycles for every operating system. For new operating systems, developers offer mainstream support that includes frequent updates and patches to fix bugs and gaps in security. 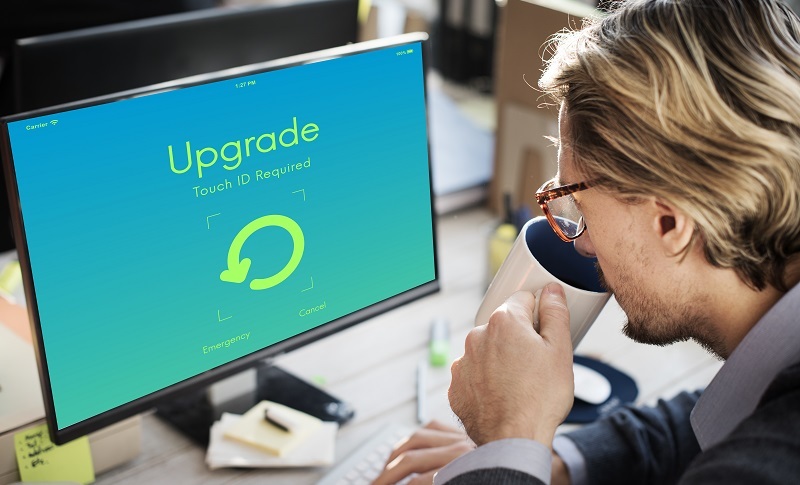 As the operating system is replaced with new options, developers transition old operating systems to extended support, only offering updates to fix the most critical flaws. Eventually, support is discontinued altogether. Check to make sure that you’re running the most current Windows operating system or find out which MacOS your Mac is using. 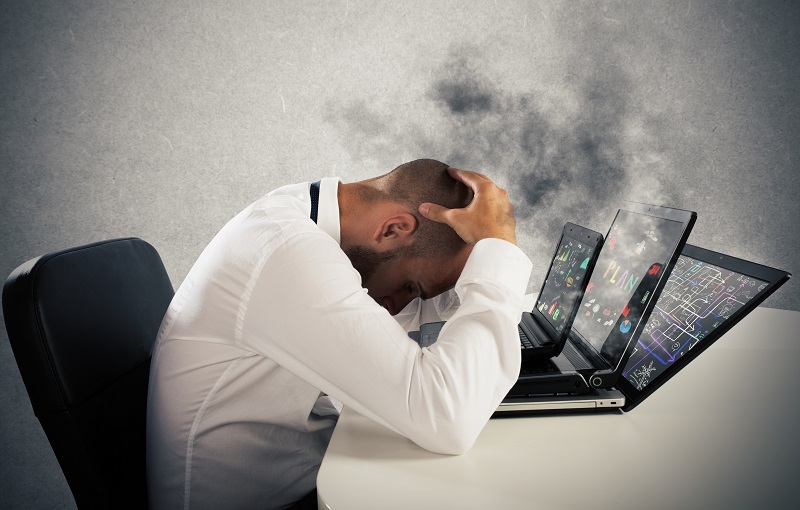 Don’t wait until it’s too late – as support fades, you may find that many applications will begin to experience errors or stop working altogether with the old operating system. In addition to keeping your operating system current, keeping your antivirus software up-to-date is a must to protect your office computer from system crashes. Antivirus software protects your computers and networks from malware attacks. Learn more about how our Managed IT Service can help protect your system with antivirus software. Technology advances rapidly in very short periods of time. In fact, Moore’s Law states that the number of transistors on a chip doubles about every two years while costs are halved – and the industry shows no signs of slowing down. As newer, faster technology becomes available, developers design their applications based on that new technology. This means that existing hardware is rendered obsolete within just a few years. Even if your computer isn’t showing any signs of slowing down, it will probably still perform slower on newer, more resource intensive applications. You can help your existing computer keep pace with new models by upgrading your machines internal components as needed to prevent slowdowns or to add more storage space. Since upgrading or servicing existing hardware is almost always less expensive than replacing a machine, you may be able to save money by replacing components rather than the entire machine. Keep a spreadsheet or database on any upgrades or service performed on your existing machine to ensure that the costs of maintenance aren’t outstripping the cost of replacement. Part of our Managed IT Services, Hardware Monitoring can detect potential problems and identify outdated hardware before it becomes a more serious problem for your business. Need an expert in your corner? Keeping up with the latest advancements in computer technology can be difficult even for industry professionals. You need to be able to spend more time growing your business and less time worrying about your office equipment – that’s where the experts at Computer Service Now can help. Our computer services, including computer repair, upgrades, tune-ups, and much more offers you an easy and hassle-free option to keep your office computers running smoothly.